The following are the New gTLD extensions being launched for the week of November 3 – 7, 2014. This week it’s all about who .GIVES to the .WORLD. And it’s also time to start thinking about those holiday .GIFTS. Oh joy. Better yet, take someone out to a .RESTAURANT. .DEGREE – academic rank, title, or award in education. Great for schools and online universities. .GIVES – could be used by a group for a charitable cause. .WORLD – encompasses the earth, the people, and things in it. My world, your world, our world. .PHYSIO –the art of massage and exercise therapy. Good name for the physiotherapy profession. .GIFTS – lots of potential for stores selling any type of gift merchandise. How will this fare against the singular .gift? .RESTAURANT – every eatery should have this one. Again, how will this fare against the abbreviated version .rest? 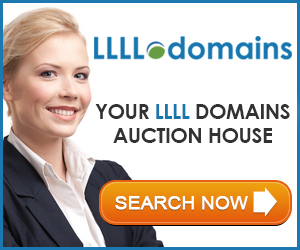 .MARKET – A gTLD that has several definitions. A place where products are bought and sold; a food store; the buying and selling of stocks and bonds. .MORTGAGE – A great gTLD for companies dealing in real estate loans.